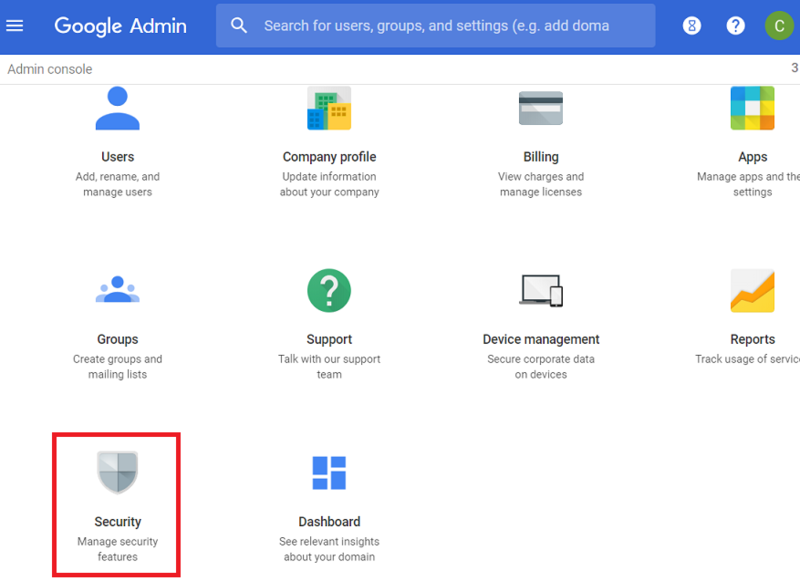 Foldr can automatically associate an on-premise Active Directory user account with a user in Google G-Suite. 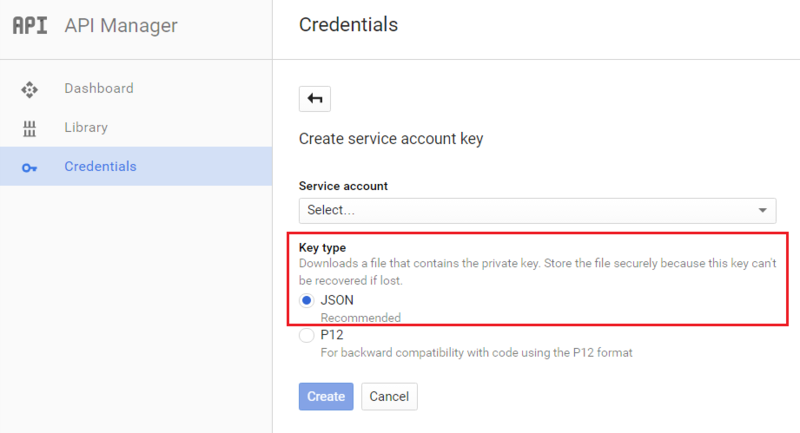 This allows the administrator to present a users personal Google Drive cloud storage and also Team Drives to users as soon as they sign in, removing the need for the user to link the account manually. The automatic linking option works by mapping a predefined Active Directory attribute to provide access to the correct cloud storage account. i.e. 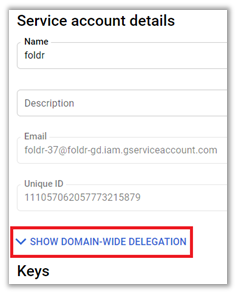 the Foldr appliance will match the user’s LDAP attribute (email address or UPN) to the user in the Google G-Suite domain. 1. 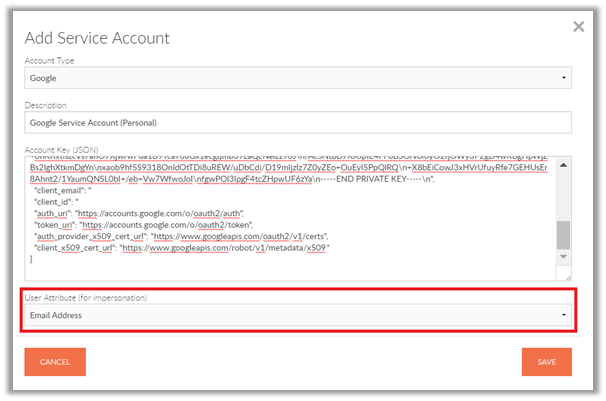 Browse to https://console.developers.google.com/apis using your administrative account. 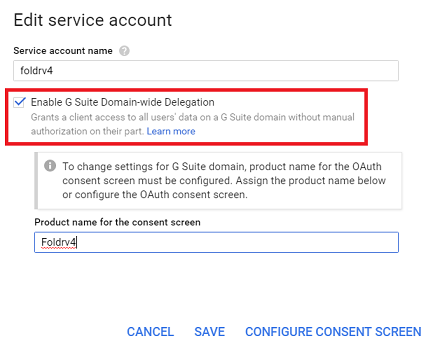 Check ‘Enable G Suite Domain-wide Delegation’ and give the product a name for the OAuth consent screen if this hasn’t already been configured at step 1. 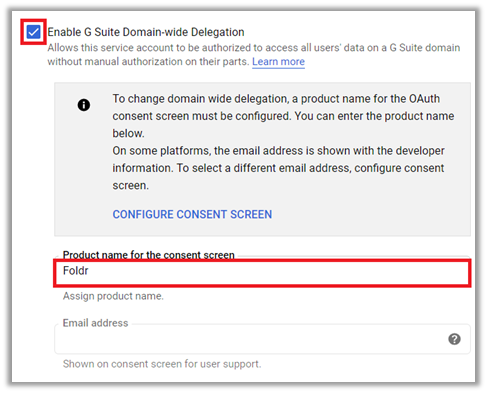 Check the box labelled ‘Enable G Suite Domain-wide Delegation’ and give the product a name for the consent screen if this hasn’t already been configured. 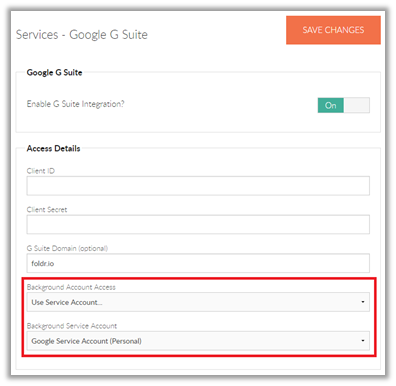 Within Foldr Settings >> Services >> Google G Suite – change the background account access mode to ‘Use Service Account’ and select the service account created at step 7. 10. 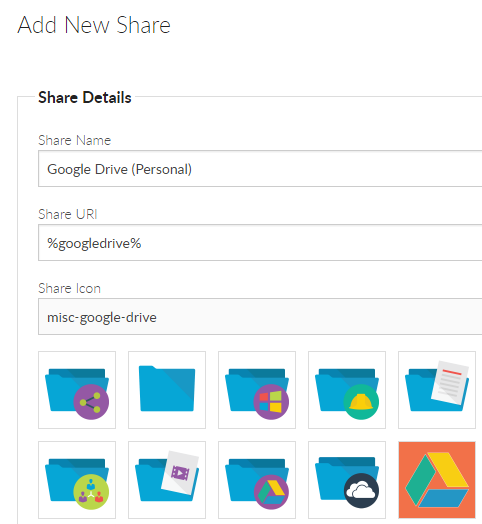 Create a new global share within Foldr Settings >> Shares for Google Drive using the Google service account. 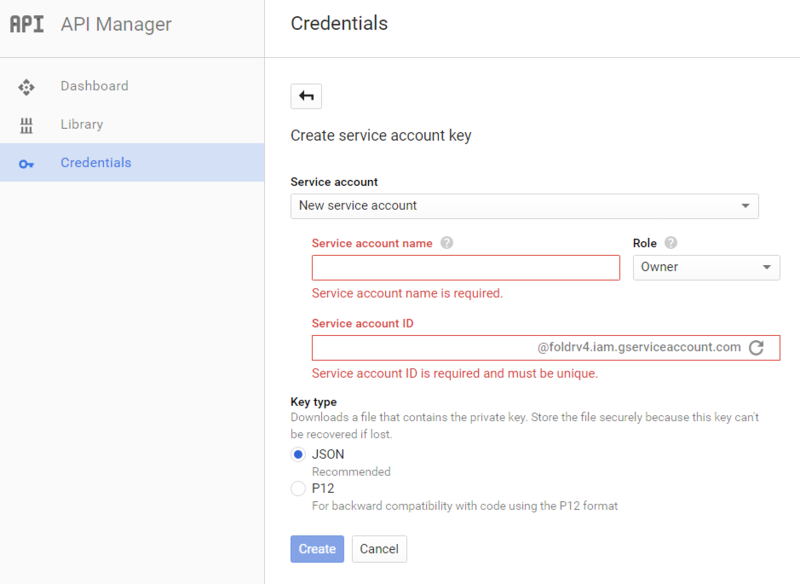 Select the Google service account created earlier. 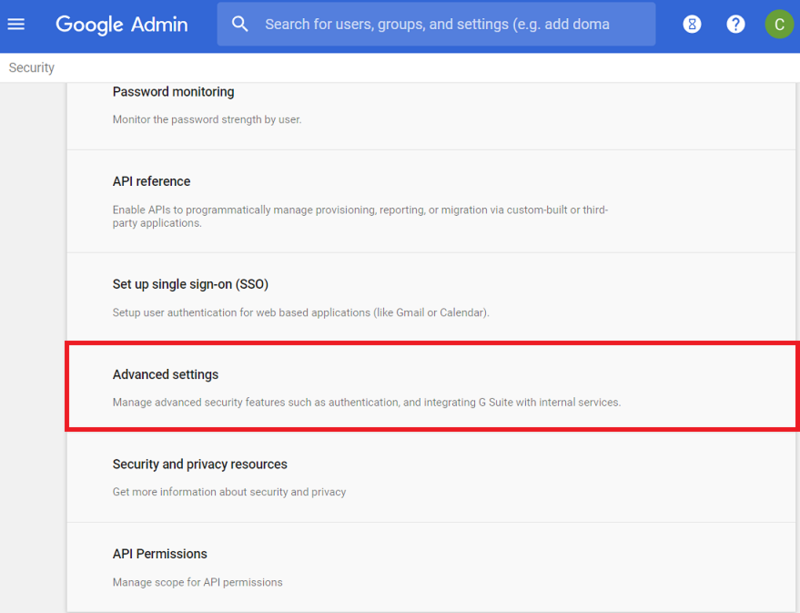 Note – The ‘Use service account for all access’ toggle must not be enabled in the Advanced tab. 12. Changing the default background access mode from manual to automated. 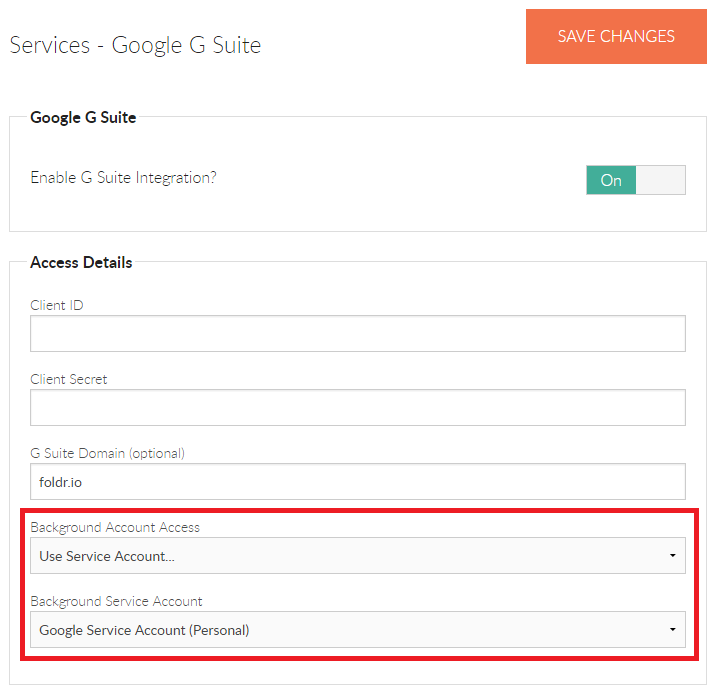 Within Foldr Settings >> Services >> Google G Suite change the background account access mode to ‘Use Service Account’ and select the service account created at step 7. 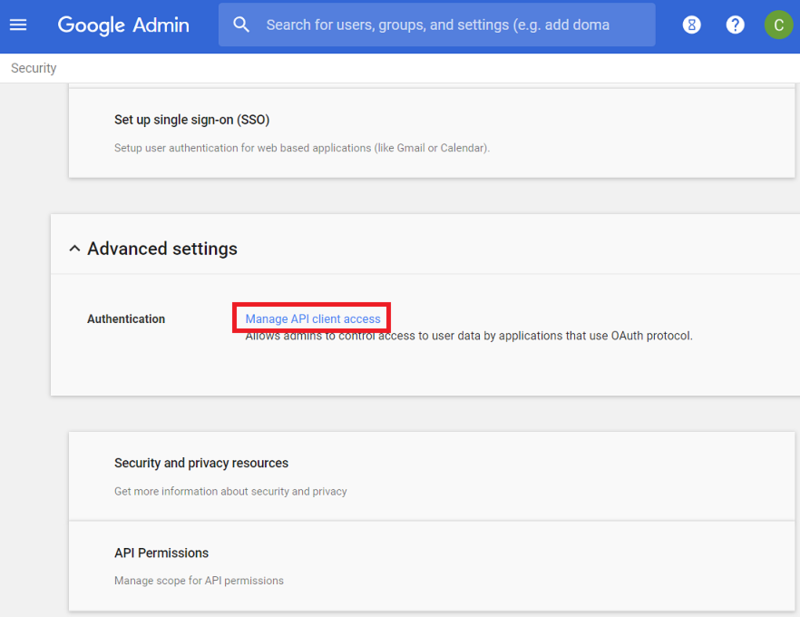 The integration for automatic account linking with Google Drive is now complete. When a user logs into Foldr using the web, mobile or desktop apps, they should see their own personal Drive under My Files. Microsoft Office documents that are hosted on-premise or in Drive may be edited in place using G-Suite productivity apps which will save back to their original location once the user has finished editing. 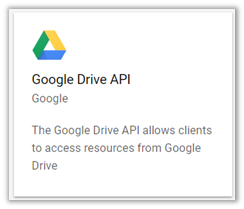 As part of enabling the Google integration the user will now see a ‘Edit with Google G-Suite’ button in the Foldr web app for Office and G-Suite files. The Windows and macOS desktop apps will allow users to edit G Suite files (Docs, Slides and Sheets) straight from Explorer / Finder.